Last week the Joomla Security Strike Team issued another high severity alert for Joomla version 1.5. This is hot on the heels of a moderate alert in April. All 1.5.x installs prior to and including 1.5.17 are affected. Updating Joomla is not especially difficult but streamlining the process is worthwile if you look after more than just a few sites! Hosting tools such as cPanel and Installatron can help automate this process for you but it can take a few weeks for the updates to be made available via these tools. Before doing any changes, make sure you have a recent backup of your website! Browse to the com_jupdateman_151.tgz file on your local machine and click on "Upload File and Install"
Click on "download the update file >>>"
Once downloaded, Click on "you can proceed with the install >>>"
Depending on how big the latest patch is (and how far behind you are), updates can now be done in a few minutes or even a few seconds. 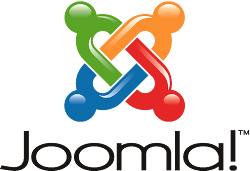 How do you keep your Joomla sites up to date? Update: Admin Tools from Akeeba also has a "one click" update process that is very easy to use.